рентгенографические процедуры, рентгеновский аппарат, рабочая нагрузка, стационарная защита. 1. 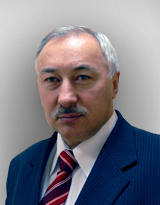 Gigiyenicheskiye trebovaniya k ustroystvu i ekspluatatsii rentgenovskikh kabinetov, apparatov i provedeniyu rentgenologicheskikh issledovaniy (SanPiN 2.6.1.1192-03) : vvedeny v deystviye ot 18.02. 03 g. № 8 s 01.05.03 g. – M.
2. NCRP (1976). National Council on Radiation Protection and Measurements. Structural Shielding Design and Evaluation for Medical Use of X Rays and Gamma Rays of Energies Up to 10 MeV, NCRP Report No. 49 (National Council on Radiation Protection and Measurements, Bethesda, Maryland). 3. Simpkin, D.J. Evaluation of NCRP Report No. 49 assumptions on workloads and use factors in diagnostic radiology facilities / D.J. Simpkin // Med. Phys. – V. 23 (4). – P. 577–584. 4. NCRP (2004). National Council on Radiation Protection and Measurements. Structural shielding design for medical X-ray imaging facilities, NCRP Report No. 147 (National Council on Radiation Protection and Measurements, Bethesda, Maryland). 5. Tou-Rong, C. Surveyed data for structural shielding calculations of radiographic X-ray installations in Taiwan / C. Tou-Rong, T. Yeu-Sheng, C. Chien-hau // The Radiation Safety Jornal. – V. 104, suppl. 2, May 2013.